We help you to simplify the consumability of your cloud resources. In the oneclick™ platform, new customers can be created with just a few clicks and provided with the appropriate cloud resources via the Cloud Resource Manager. The user has easy access to all assigned cloud resources via the workspace interface. The user – no matter if admin or end user – does not need to have any special knowledge for the use and operation of the cloud. 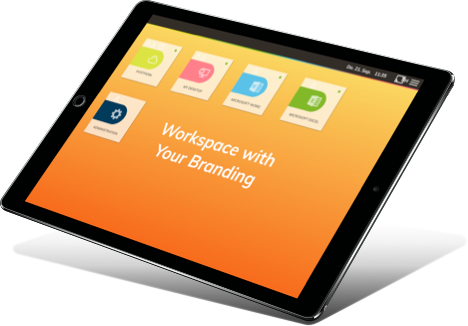 With the oneclick™ platform, cloud providers have the opportunity to offer a workspace service with their own branding and resources. 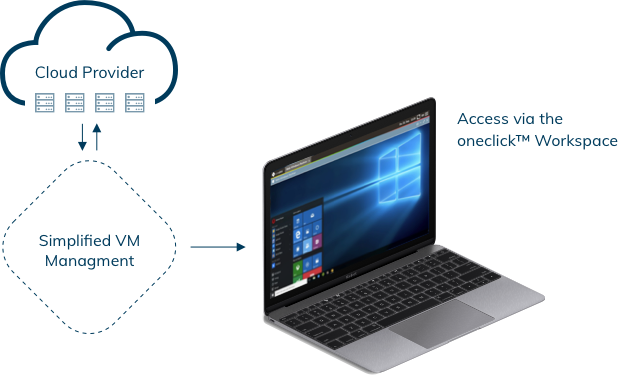 In addition, oneclick™ enables the implementation of hybrid workstation concepts, making it easier for users to switch to a pure cloud environment. 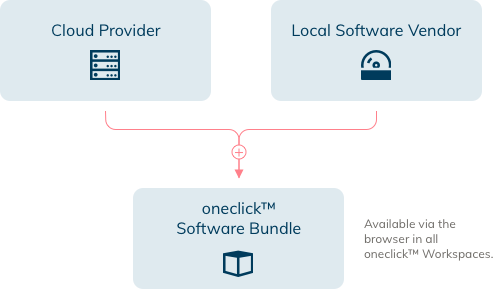 Since software vendors can offer their software via the oneclick™ platform, cloud providers have the opportunity to create country-specific product solutions and sell them in their respective target markets. This means that regional suppliers can also compete directly with major competitors.